Andrew Bridge spent 11 years in the Los Angeles County foster care system and went on to earn a scholarship to Wesleyan, become a Fulbright Scholar, and graduate from Harvard Law School. 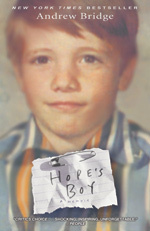 His memoir Hope’s Boy (Hyperion) is the true account of Bridge’s life with his mother, a young mentally ill woman, of her efforts to keep and care for him, and of his life in foster care without her from the age of seven until 18. He has spent the majority of his legal career representing impoverished children across the country, and is a devoted advocate and pioneer for children in foster care. Hope’s Boy became a New York Times best-seller, named one of the best books of 2008 by the Washington Post, a winner of the 2008 Elle Magazine Readers’ Prize, a Reader’s Digest Featured Book Bonus, a People Magazine Critic’s Choice, a Los Angeles Times Discoveries Book, a Book Sense Pick, and a Borders Original Voices Pick. Bridge’s work on behalf of foster children and improving the foster care system has garnered coverage in Time, the New York Times, the Los Angeles Times, in newspapers across the country, and on NBC National News. A seasoned speaker, he has given a multitude of talks at children’s organizations; such as Alliance for Children’s Rights, Casey Foundation Children’s Conference, National Adoption Day; civil rights groups, such as Court Appointed Special Advocates (CASA); governmental organizations, such as Los Angeles County Department of Children and Family Services Annual Foster Parent and Guardian Conference, Los Angeles County Women’s Bar Association, League of Women Voters; and universities, such as Harvard Law School, Wesleyan University, Claremont McKenna College, and Whittier Law School. Bridge is currently Director of the Child Welfare Initiative in Los Angeles. Established by a consortium of leading private foundations, individuals, and other philanthropic organizations, the Child Welfare Initiative focuses on the fundamental reform of our nation’s child welfare systems. Working with public officials and private organizations, the Initiative investigates and implements innovative strategies, policy changes, and programmatic reforms aimed at bettering educational outcomes and expanding mental health services for children in and aging out of child welfare. The Initiative also seeks to develop positive relationships between child welfare officials and families living in the community and to enhance services available to children and families in need. Emphasis is placed on the most effective use of private funding to catalyze meaningful and sustainable improvements in these areas. Bridge began his advocacy career as a staff attorney at the Judge David L. Bazelon Center – a national civil rights litigation foundation in Washington, D.C. There, Bridge represented children throughout the State of Alabama.In 1996, Bridge became the Executive Director/General Counsel of The Alliance for Children’s Rights in Los Angeles. 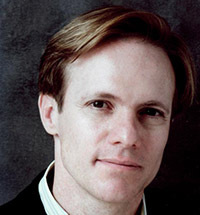 As Executive Director, Bridge worked to expand the availability of legal services to Los Angeles County foster children, poor children, homeless children, children with HIV/AIDS or whose caretakers are dying of AIDS, children with special education needs, and children with mental or physical disabilities. While Executive Director, Bridge also chaired Los Angeles County’s Blue Ribbon Task Force, formed to investigate the safety and well-being of children in Los Angeles County’s care following the disappearance and death of hundreds of foster children. The Task Force’s recommendations received national attention. Under Bridge’s leadership, The Alliance successfully sued Los Angeles County over its practice of not reviewing the safety of children in its care. The victory guaranteed every foster child the right to see and speak with a social worker at least once a month and successfully challenged the restrictions that forbid foster children and their families from openly discussing their experiences in the child welfare and court systems. The Alliance also established its Health Care Partnership for Children – a consortium of major Los Angeles hospitals working together to provide health care and related legal assistance to indigent children. The Alliance began its Foster Children’s Adoption Project to streamline and finalize adoptions for foster children in Los Angeles County. Later, Bridge expanded the Foster Children’s Adoption Project into what has become known as National Adoption Day – a coordinated effort to facilitate adoptions in cities across the nation. Through The Alliance’s Foster Children’s Adoption Project, thousands of foster children have left foster care and joined adoptive families. Bridge also founded and became President of Los Angeles Appleseed. His work focused on going beyond traditional group home care with the establishment of a college preparatory residential academy aimed at providing adolescents in foster care with the highest possible education to prepare them for emancipation into adult life, and replacing existing “non-public schools” for children in foster care and delinquency group homes with charter schools that are tailored to students’ needs and that enroll children living in the community. Bridge’s efforts led to the establishment of New Village Charter School. New Village is one of the first charter schools in the nation to focus on the needs of children in foster care and in the delinquency system. Specifically, the school prepares pregnant girls who live in state care, as well as girls in the community, grades 7-12, for college, post-secondary education, or skilled employment. New Village opened to students in the fall of 2006. Bridge remains a founding director of New Village. Bridge is currently working on his second book, Seven Days in Alabama, which describes the past and present lives of the children he represented at the Eufaula Adolescent Center in southern Alabama. Part personal narrative, part investigative journalism: Seven Days in Alabama revisits a group of boys, now men, who grew up in Alabama’s foster care, state-psychiatric, and juvenile justice systems; whose names and childhood traumas were embroiled, for better and for worse, in one of the largest and longest lasting civil rights campaigns in American history; and who have struggled to make a place for themselves in the world ever since. A cancer survivor, Bridge now lives in Los Angeles. "Andrew's story moves you deeply. His ability to answer questions openly and with respect speaks to his character and purpose. He is a man who has always known how to honor his mother despite the pain and loneliness he felt. For me, this was his greatest message, that there is value in learning to honor those suffer with mental illness." "Andrew Bridge's remarkable ability to share the trials and tribulations of life as a youth in foster care coupled with his message of hope and inspiration moved the audience to help make the lives of foster children better for years to come." "Andrew is a tremendously motivating speaker. He connected with our audience and his story and the insight he provided into children that come into our child welfare system will make us better advocates having gained greater understanding and empathy about a child's feelings, needs, hopes and dreams." "Andrew Bridge is a quiet speaker with a forceful message. His gentle demeanor is a true testimony of the unforgettable sorrow he experienced as a child and the sadness he has for children in the foster care system today. Everyone should hear him speak and do what they can to help change the way innocent children are treated when removed from their homes."